Do you want your BAUEDA models painted for you? 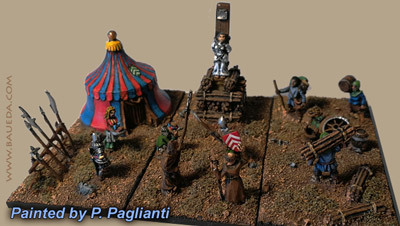 We have arranged with a very skilled Italian artist, Paolo Paglianti, to offer you a quality custom painting service, so you can now have any and all of your Baueda models painted and based, ready for the tabletop! Paolo can paint and base any model or figure you like! Want to contact Paolo directly? Try on facebook! and tell us in detail what you would like and where we should ship it to; we will give you a quote and a possible delivery date ASAP. If you are happy for it a non refundable deposit will usually be required, after which we will start working on your order. Once your models are finished Paolo will send you a picture for you to approve.you'll be then asked to complete the payment and the items will be shipped to you by registered post or courier, at your discretion. Paolo can also paint non-BAUEDA items for you! 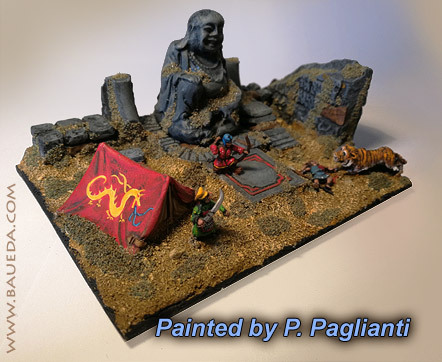 Custom camps are priced by size and number of models and figures on them: for example a squre 40x40mm baggage base with a single tent model on it, painted and based at your discretion starts at EURO € 15.15 including the cost of the model. 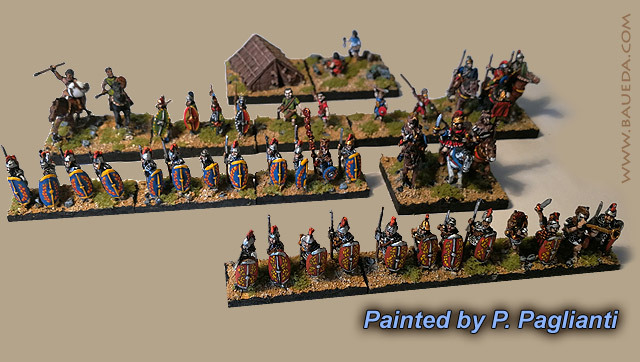 Painting of 15mm foot figures cost EURO € 2.50 each, mounted twice as much.